Re: Potfolio - Does Cannabis Make You More Creative? Cannabis is one of the most powerful healing plants on the planet. One of the most important roles cannabinoids play is in the suppression of cancer. 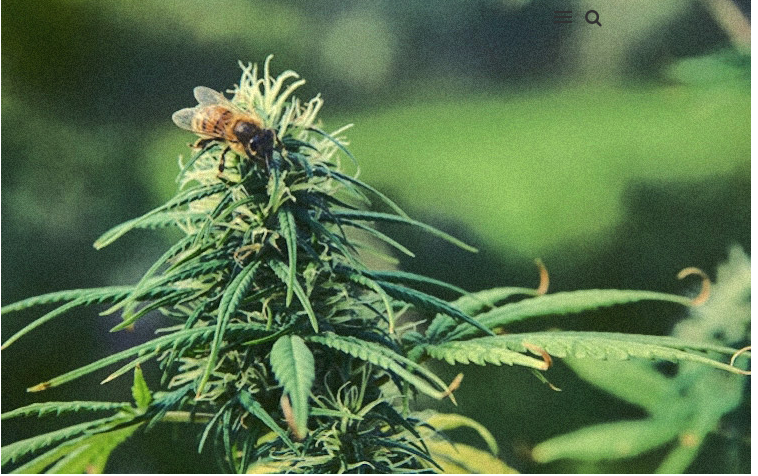 However, the plant’s impact on our psychological health, including artistic creativity and convergent thinking, have now been highlighted by a study in Consciousness and Cognition. A recent study on the effects of smoking marijuana and its relation to creativity has some interesting results. As one of nature’s most medicinal plants, it turns out how it makes us feel and think goes beyond logical interpretations. The study consisted of 412 marijuana users and 309 non-users, and they attempted to answer the question: Does smoking marijuana make you more creative? The study is called “Inspired by Mary Jane? Mechanisms underlying enhanced creativity in cannabis users“ and was published in Consciousness and Cognition. It examined the participants over a variety of areas including psychological tests, and measuring creative works and achievements. Cannabis users reported higher levels of artistic creativity, but not a higher amount of creative achievements or completed works. Cannabis users performed better on a convergent thinking test (which tests creative problem solving). Overall, they did find that those who use marijuana are more creative than their counterparts who do not use it, but when they dug deeper they made a startling discovery. When the scientists included the personality traits into the data, they realized that these traits on their own could determine whether a person is more open to using marijuana, as well as drive a tendency to be more creative. So there you have it: if you smoke pot you’re probably more creative than people who don’t — but it’s not necessarily the weed that’s got your creativity going. It was you all along! I'm a genius on cannabis....just can't remember the breakthrough insights I had, later, when I go to write 'em down. LOL. Run a video cam while you are partying and explain your insights to the camera between Bong Hits! It will Go Viral on Diner Utoob! Maybe you will solve Collapse! But...I do remember this....back in my teenage tripping days when the world was young and I was too....the day after a good acid trip, as I was coming down, I would go through this stage where I felt so spot on.....intellectually, I mean. I said things that were wittier than normal....funny. Maybe I was just a little less hopelessly caught up in my usual teenage angst or something. But I did notice it, and other people I was around noticed it, and I think it was areal thing. So I think psychedelics do increase creativity...just not when you're peaking and the world turns into a Sgt Peppers album and your eyes are glued to the tracers coming from the windshield wipers on the car...or you notice that tree seems to be breathing, and you realize its a sentient being, and you just want to give it a big hug. I couldn't even get you to make Vids of the damn Mangalitsas! Potfolio - Cannabis Elite invited to Davos ! Re: Potfolio - Cannabis Elite invited to Davos ! The people with the good pot are always invited to the party. Don't know the future - but I'm not sure there is a big market for Big Tobacco in weed. It's not like tobacco which has limited areas to be grown. Here in Oregon all the little dispensaries are hurting and constantly cutting prices to survive. Too much product and anybody can grow it (and they are). It's as easy as growing a tomato in a pot (pun intended). Unless you are a heavy user a few plants could last you for a year at least. Far easier than making hard cider. All the business types want a new growth industry - collapse is coming/or here and people will have small weed plants out back in the garden to help them medicate through the starvation (god the munchies without food is going to be hard ). I hope big tobacco stays out of it. They're the ones working on round-up ready cannabis, which will be an abomination. Roundup-ready cannabis will be Death by Bong. And then they'll be able to say smoking pot causes cancer. If you do a simple Presearch for the words “CBD oil smoothie” you are bound to get tons of results. It’s a new trend taking over U.S. restaurants all over from the East Coast to the West Coast, selling CBD-infused drinks or snacks to customers. Sen. Cory Booker, D-N.J., for the second time proposed a bill that would legalize recreational use of marijuana nationwide. The legislation also intends to clear all marijuana possession charges from the criminal records of U.S. citizens. Booker introduced the “Marijuana Justice Act” on Thursday with Democratic California Reps. Barbara Lee and Ro Khanna. The senator first unveiled the bill in 2017 but failed in the upper chamber of Congress, Futurism reported Friday. The move is part of the lawmakers’ efforts to end the war on drugs in the U.S., which already led to over-policing and incarceration of racial minorities for nonviolent crimes, Booker said. A report by the American Civil Liberties Union (ACLU) highlighted that despite similar rates of drug use, black people are four times more likely to be arrested for marijuana possession than white people.